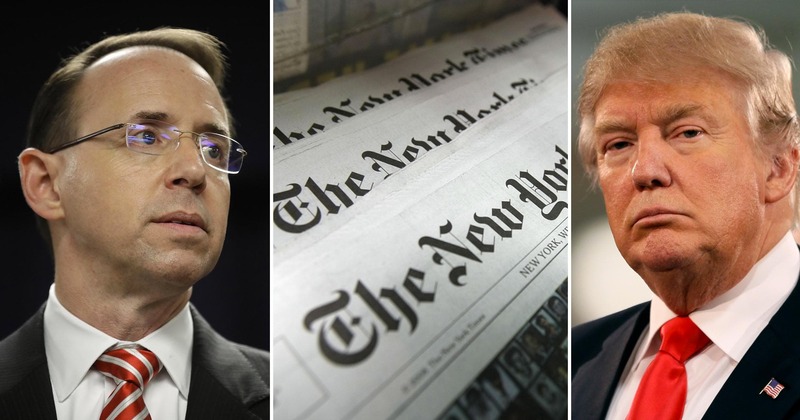 Today, the New York Times editorial board took the stunning step of penning a public plea to a single government official, pleading with Deputy Attorney General Rod Rosenstein to do the right thing on the investigation of collusion between Russia and the Trump campaign. Rosenstein has been thrust into the spotlight as the man who wrote the justification for the firing of FBI Director James Comey and was scapegoated by the Trump regime for making the recommendation. The letter went on to tout Rosenstein’s sterling reputation, even praising him for not explicitly calling for Comey’s firing in his memo. “But after Attorney General Jeff Sessions recused himself from these matters, because of his own contacts during the campaign with the Russians, the power to launch a truly credible investigation has fallen to you, and you alone,” the letter continues. Let’s hope Rosenstein chooses to do right by the American people.